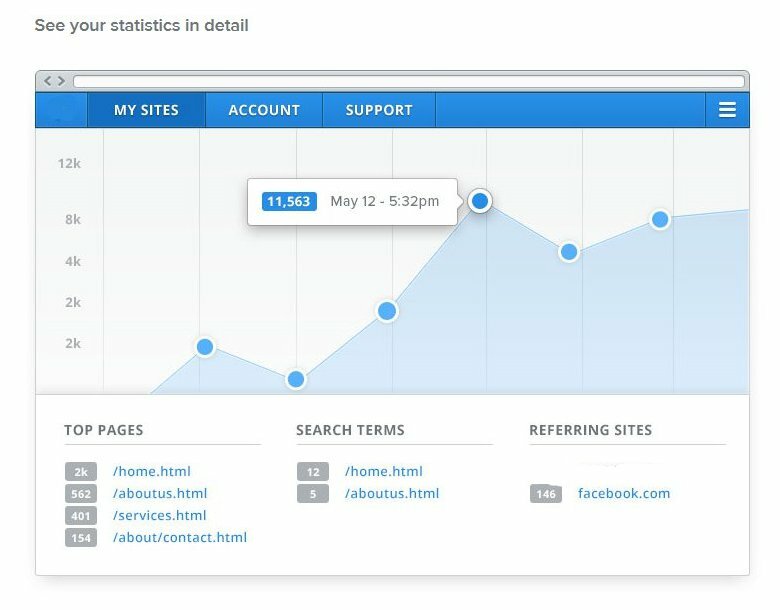 Easily track how many people visited your website, which pages they visited, what search terms they used to find your site and which websites referred traffic to your site in the statistics tab of your site's dashboard. Your website statistics are calculated in real-time so you can keep a close eye on your data and traffic patterns. For even deeper insights into your website statistics add Google Analytics tracking code as well.